Fleas are the most common parasite to infect cats. The cat flea, Ctenocephalides felis, lives on the fur and skin of the cat, feeding on the cat’s blood. Fleas cause a lot of discomfort to the affected cat. They can transmit parasites and diseases, and may cause anaemia or allergic dermatitis (Flea Allergy Dermatitis, or FAD) in some animals. Kittens are particularly at risk of developing anaemia due to their generally reduced blood supply and because they groom less efficiently than adult cats. Flea allergy dermatitis is quite common in both cats and dogs, and if left untreated, can lead to bacterial infection of the skin and eventually the body, to the continual biting and scratching. Pale gums (if the cat is anaemic). The easiest way to confirm if your cat has fleas, is to simply go through your cat’s fur. Pay particular attention around the ears, neck and shoulders, and down the spine towards the tail base. Fleas are about 2mm long with flat bodies. They will appear very dark in colour. There can be hundreds of fleas on a single animal. The more cats or dogs, or both, that you have in your home, the greater the potential for flea infestations. Fleas can also live in any organic material around the home and in the yard, and they can survive there for long periods of time. In order to be able to effectively treat and prevent fleas, it is important to understand the lifecycle of the flea first. Cats become infected by direct contact with another animal that has fleas, by contacting fleas in the environment, or when humans bring fleas into the house. 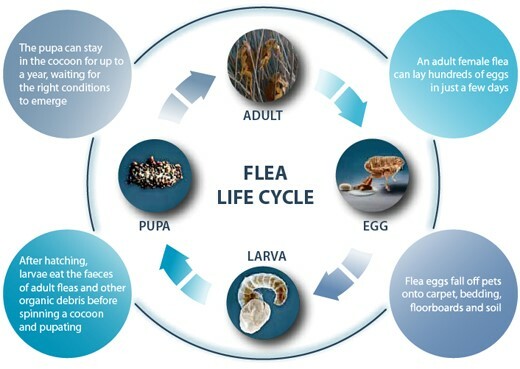 The flea lifecycle can take as little as 12-14 days, or up to 180 days, but in typical household conditions the average flea lifecycle is 3-6 weeks. The adult female flea lays her eggs, which then drop off the animal and fall into the carpet, bedding, floorboards and soil. The flea egg hatches and the larva feeds on flea faeces and other debris in the environment. It then spins itself a cocoon and pupates. The pupa sits in the cocoon and waits for the right environmental conditions to emerge (think warm and moist). The adult flea hatches and feeds on your pets’ blood, and the female fleas lay their eggs, and the lifecycle continues. The large majority (about 50-60%) of fleas in the environment are in the form of flea eggs. Adult fleas only account for around 1-2% of the total fleas in the environment. The remainder are larvae and pupae. When you consider this, it is easy to understand why it is just as important (if not, more!) to treat all the stages of the lifecycle with an appropriate product, not just the adults. This is also the reason home flea treatment, that is a cat friendly flea treatment, is just as important as treating the individual animal. There are many products available on the market, and you may find yourself wondering “what is the best flea treatment for cats?”. Selecting which is the best flea treatment for cats will depend on your particular preferences and circumstances. Vet flea treatment for cats such as Revolution for Cats and Advocate for Cats are most popular and convenient, as they offer ‘all-in-one’ protection against fleas, intestinal worms and heartworms. They come in the form of a little tube of liquid that you dispense onto your cat’s coat once a month. If you prefer to treat and prevent fleas alone, Advantage for Cats is for you. Advocate and Advantage are fast acting flea treatment for cats. They begin to work within 3-5 minutes of application, providing fast relief and ongoing protection for the month. If you prefer a fuss-free treatment that requires almost no effort, Seresto Cat Flea and Tick Collars are a good choice. These are completely unlike traditional flea collars (whose efficacy is debatable). Seresto collars are made of a novel blend of materials, which when they come in contact with your pet’s skin, offer a controlled, slow release of the active ingredient over a period of 8 months. They provide excellent preventative flea treatment for cats, and begin working against the fleas as soon as you put the collar on. What about alternative flea treatment for cats? While there is a lot of information out there regarding alternative or ‘natural’, ‘holistic’-type flea treatments, none of these are actually proven to be effective. Always seek your vet’s recommendation, but generally speaking, veterinary flea treatments are the most effective. It is definitely important to employ practices such as daily vacuuming (and empting the vacuum or bag when you’re finished), washing pets bedding, and perhaps dusting outdoor areas to rid them of flea eggs and larvae, but these are best used as complimentary treatment and control methods alongside your cat’s flea medications. When it’s time for you to buy flea treatment for cats, there are many cat flea treatment options available. 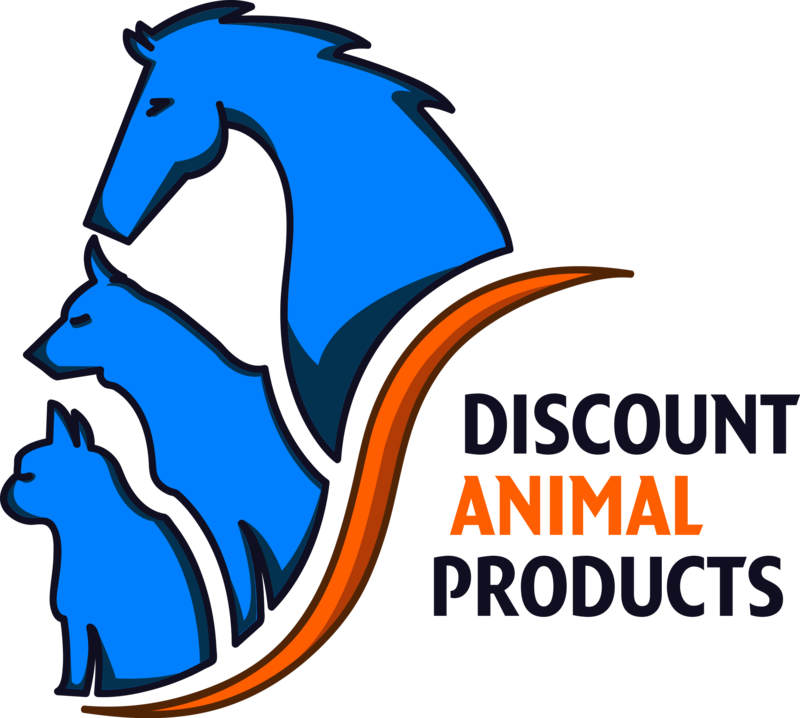 You can be sure that whichever you choose, when you shop with Discount Animal Products, you’ll be getting the best price flea treatment for cats, and you’ll only be buying cat flea treatments that work!